Go anywhere in the Delaware Valley and say those words and people will know. They will know the excellence produced here since 1851. 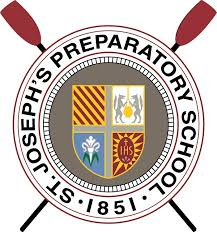 They will know that a graduate of St. Joseph's Prep is more than just a scholar. Preppers are leaders in business, in education, in law, in politics. They are "men for and with others" who serve their families, their churches, their communities. We know that when it comes to selecting a high school for your son, you can pick a school, or, you can choose an education. At the Prep, students actually get TWO educations—one in the classroom, and one from the world around them—and both create bright, passionate and well-spoken young men, prepared to live life to the fullest and take on college and the world! We're proud of our Jesuit h eritage, as well as our downtown location and its front-and-center access to all the culturally-rich "classrooms" a thriving city like Philadelphia has to offer--museums, famed sports facilities (like the Palaestra at Penn), the Schuylkill River, and more arts and entertainment than you can shake an orchestra baton at. With a "campus" like this, it's no wonder our students come out with a well-rounded perspective, a transformed sense of humility and justice, and an ever-open eye toward their city, their fellow citizens...and an entire world of possibilities ahead of them. - We are the Jesuit High School of Philadelphia. - We develop boys into men who work for and with others. - Academic excellence is our passion. - Community service is our backbone. - Our network stretches wide, and our brotherhood runs deep. - Philadelphia is our campus...and we're at home here.